ANDOVER, Mass. 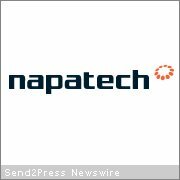 /Massachusetts Newswire/ — Napatech today announces support for Fiber Channel over Ethernet also known as FCoE for the NT family of 1 Gbps and 10 Gbps high-performance network adapters. The new Napatech FCoE implementation is an integral part of later releases and is now in the field. By merging IP and Fiber Channel traffic over the same Ethernet, large server farms can reduce the number of adapters and cabling to half in the best case. The Napatech NT family of programmable adapters can now be used for monitoring this combined traffic.